AUGUSTA, Maine — An environmental group sued Gov. Paul LePage on Tuesday in a bid to overturn a moratorium on new wind turbine permitting for most of Maine that was contained in an executive order last week. The lawsuit from the Conservation Law Foundation, which was filed in Cumberland County Superior Court in Portland, asks the court to strike down the order as unconstitutional, saying it violated provisions granting separate powers to Maine’s executive and legislative branches. 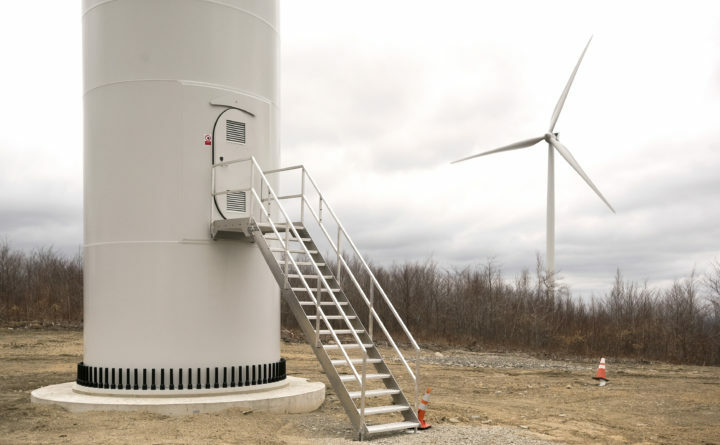 Last week, the Republican governor issued an executive order placing a moratorium on new wind turbine development except for eastern Aroostook County and creating a new commission to study turbines’ impact on the environment, property values and tourism. It may have had no immediate impact, because the LePage administration said there were no pending applications for new wind projects. Proposed projects involving new Maine wind capacity were passed over in a Massachusetts clean energy procurement a day after the move. Democrats and environmentalists panned it as anti-business and reminiscent of his 2013 role in a Norwegian offshore wind company’s departure from Maine. The lawsuit from the Conservation Law Foundation, which is based in Boston, alleges that the order will harm “a variety of interests” for members, “including economic, public health, aesthetic and professional interests.” It says that LePage can’t circumvent law that allows wind permitting. A spokeswoman for the governor said the office “can’t comment on pending litigation,” but he called “a boutique energy source” in 2012. However, wind capacity has grown by roughly five times in Maine since he became governor the year before those remarks. A LePage-backed bill from Rep. Joel Stetkis, R-Canaan, was introduced on Tuesday in the Legislature and would largely conform to the governor’s executive order by restricting an expedited wind permitting process area already in state law to parts of Aroostook County.